Each time you visit us, we take x-ray scans of your jaw to assess the condition of your teeth. With x-ray scans we can see the underlying jawbone, connective nerves, and any internal damage to your teeth. These scans are vital in determining your path of treatment while you’re in-office. We use these scans in invasive surgical treatments and to coach you on best oral hygiene practices. Red, inflamed gums for gum disease. Cracks and pits that signify tooth decay. Strange lumps and lesions that suggest oral cancer. Electric toothbrushes vs manual toothbrushes. Maintenance of oral devices, such as night guards or dentures. The American Academy of Pediatric Dentistry (AAPD) states that a child should first see the dentist by age 1 or six months after having their first tooth. But most children don’t go to the dentist until age 2. Teaching them good nutritional choices. Better spacing for erupting permanent teeth. Helping them feel more comfortable about their smiles and dental routine. 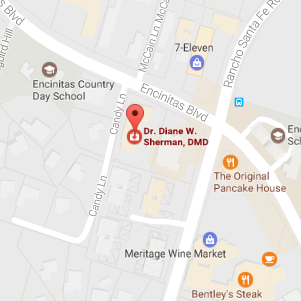 When you’re ready to advance your oral care, give us a call at Diane W. Sherman, DMD. We’re committed to helping you achieve your dream smile, and that starts with maintaining basic oral hygiene cares. Let us know how we can help by giving our office a call.